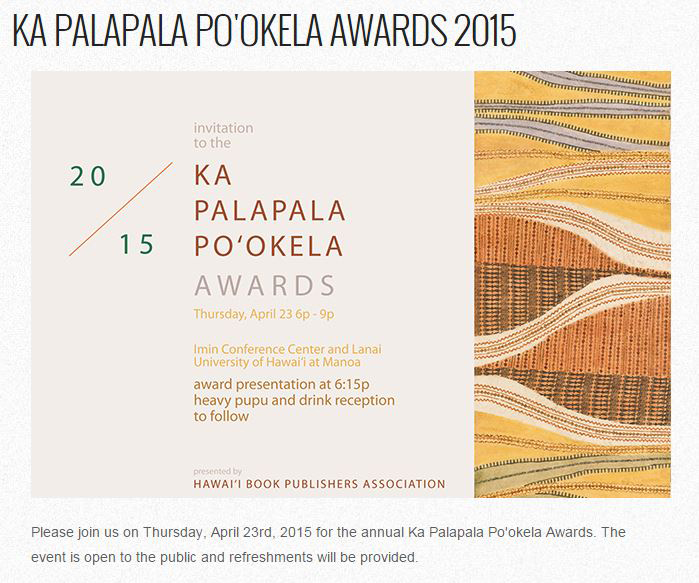 This entry was posted in author events, awards, general interest, Hawaii, press events, press news and tagged book events, Hawaii Book Publishers Association, Ka Palapala Po'okela. Bookmark the permalink. ← New Titles in Religion from UHP!